A potential clash is looming between business operators in the Central Business District and Harare City following the later’s decision to close all unlicensed business and office operators with the former complaining of high costs of licensing and the sprouting of street vendors forcing them out of business. Today Harare City posted on its Facebook page, a notice of closure of all non-complying office and business operators in the CBD and business premises in residential areas starting tomorrow. “Business and office operators in the Central Business District are advised that beginning tomorrow 9 April council will be auditing all premises for business licenses. Non-compliant businesses face immediate closure. Ample notice has been given to all operators. The exercise will progressively extend to all suburban business centers and business premises in residential areas. Fire compliance inspections will be done concurrently,” read the statement. But a snap survey by 263ChatBusiness in the CBD to assess the mood in greater Harare where most small businesses operators pointed to a potential backlash over Council’s neglect to its service delivery responsibilities. “They cannot force us to pay licenses when they let street vendors crowd the pavements and sway our customers. They expect us to have flourishing businesses that can comply to licensing when they don’t want to deal with the problems affecting us in business, “says Emmanuel Simbi, who trades in motor spares. Businesses operators have for a long time complained of council’s laxity in dealing with the scourge of illegal vendors in the CBD, a case that has bled many tax compliant business entities. Most of the small business entities around Copacabana and Market Square bus terminuses have resorted to multiple sharing of office space to meet the high costs of rentals and business operating licenses. 263ChatBusinesses understands Harare City is charging operating licenses at a minimum of RTGS $ 150 for a small business like barbers to a maximum of RTGS $400 for bigger businesses selling electronic wares per year but operators here say the business operating costs are too high given owners of buildings are now charging them rentals in US Dollars. Harare City has also been castigated for its failures to provide basic services delivery. “We don’t have water here most of the times. This is affecting our businesses as we should have water all times to give our clients the best services. Our ablution facilities are in terrible state yet they demand their dues in full. What are we paying for,” said Ngoni, a barber. 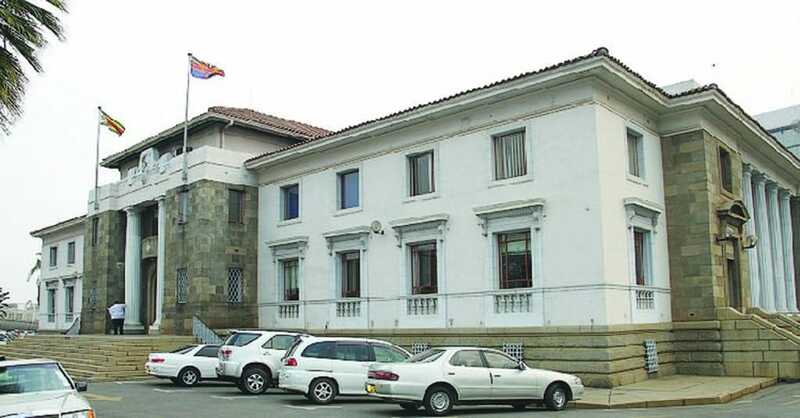 Harare City Council has constantly blamed noncompliance to statutory payments by most businesses operating in the CBD as affecting its capacity to delivery service. Harare city is owed over RTGS $ 500 million by government, businesses and residents.